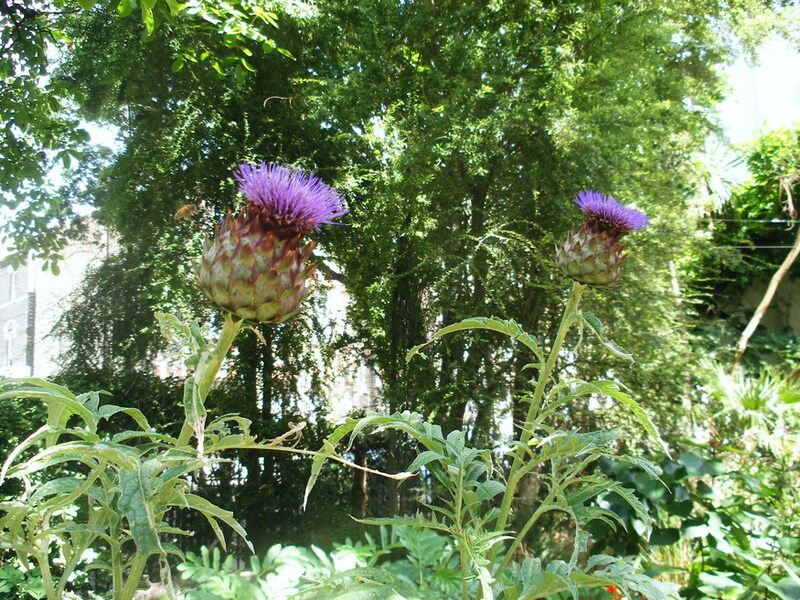 Celebrating little known green spaces in London. Is that a water wheel top right? Yes, indeed. What is it? A two-for-the-price-of-one offering this time: Harleyford Road Community Garden is an apparenty shape-shifting (for which read 'compact but easy to get lost in'), shady nature garden replete with benches, swings and a pond. 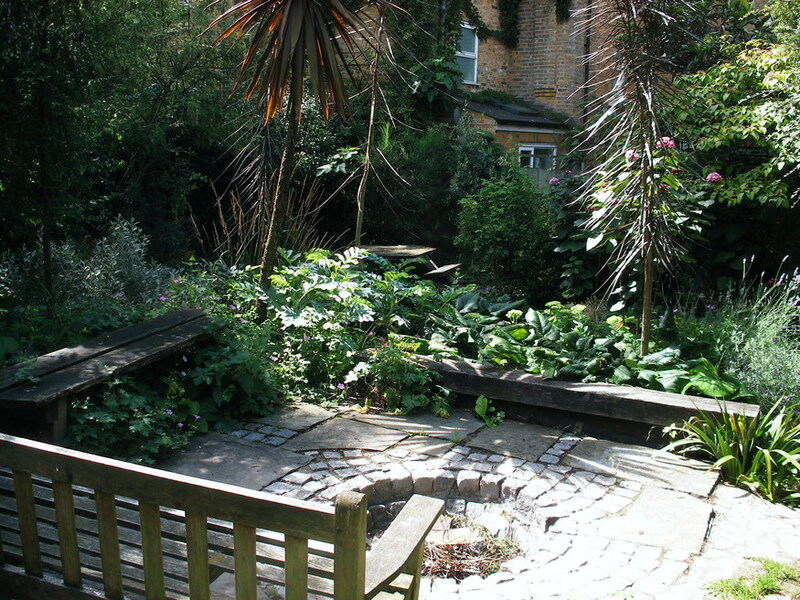 Bonnington Square Pleasure Garden is a small but perfectly formed green patch fashioned from an old bomb site. The two are connected by a secret passage. Why has it tickled our fancy? Because both plots truly are blooming examples of what community effort can do. 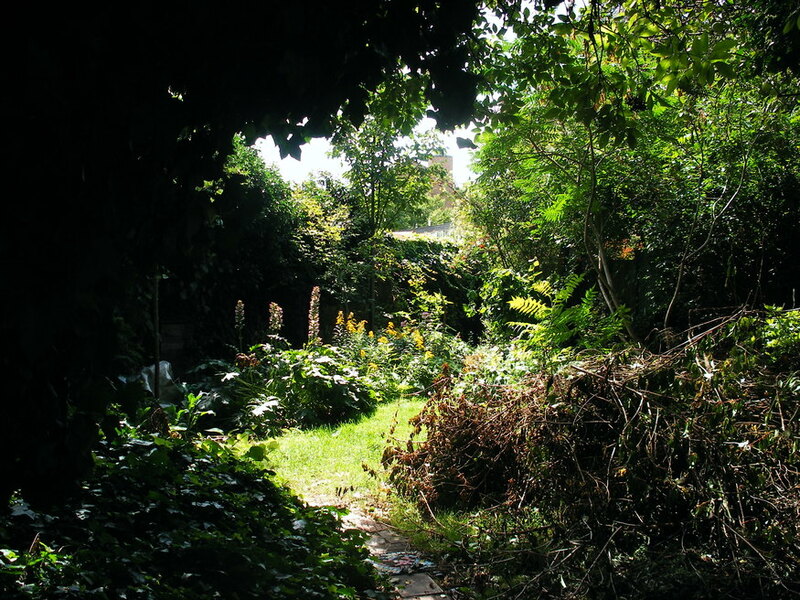 It was the community (which at that time included garden designer Dan Pearson) that took control of the Bonnington Square space from the council in the 1990s, and it remains community led and fed and watered. The use of 'Pleasure Gardens' in the title also offers an affectionate throwback to the original gardens near the site: the Vauxhall Pleaure Gardens. The inclusion of the old waterwheel, and sundry bits of architectural salvage and mosaic, make this a delightful and quirky spot to while a way an hour or so on a sunny July afternoon. Not that Londonist gets two hour lunch breaks or anything. See other green spots featured in our Nature-ist series here.